Amelia P. Nelson has been practicing in New Mexico since 2003, and is licensed to practice in the State of New Mexico, State of Iowa, and admitted to practice before the State and Federal courts. Ms. Nelson concentrates on employment and labor law, including workers rights, wage and hour rights, and discrimination, harassment and retaliation legal matters. She also practices in general civil litigation, focusing on personal injury lawsuits involving car, truck and bicycle accidents, sports injuries, animal attacks, and premises accidents resulting in injury. Ms. Nelson also handles basic estate planning and probate for traditional and non-traditional couples. Ms. Nelson maintains a practice dedicated to all people in need, with a focus on LGBT/Q rights. 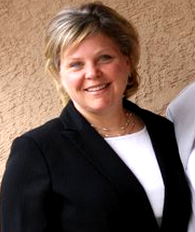 Ms. Nelson is a full time faculty lecturer at the Anderson School of Management, University of New Mexico. Ms. Nelson teaches Business Management Law, Employment Law, Advanced Legal Topics, and Advanced Employment and Labor Law in the business school and EMBA. Nelson, Amelia P., Note, Legal Liability in the Wake of StarLink™: Who Pays in the End?, 7 Drake J. Agric. L. 241 (Spring 2002).